Hippodrome parking is located directly across the street. For more information call (212)997-9096. There is Muni-metered parking on 44th Street between 6pm and 12am. For your next large party or private event, please contact Allysun Redmond at aredmond@danielnyc.com or at 212-391-2400. We are are able to accommodate small semi-private groups of 14 to large cocktail receptions for up to 165 guests. db Bistro Moderne is perfectly suited for your next group event. Our proximity to Times Square, Broadway theaters and the media capital of New York means convenience for your guests. For more information on our large group dining options, please contact us at (212) 391-2400. 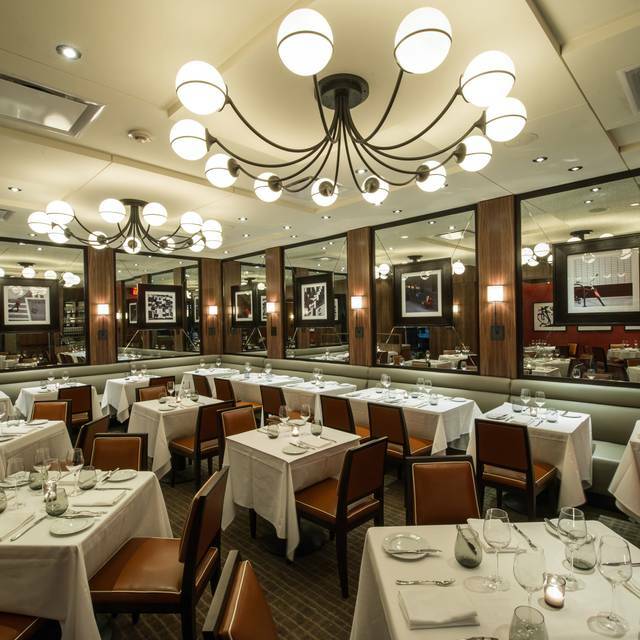 Chef Daniel Boulud’s db bistro moderne is a contemporary French restaurant, known for chic bistro cuisine. 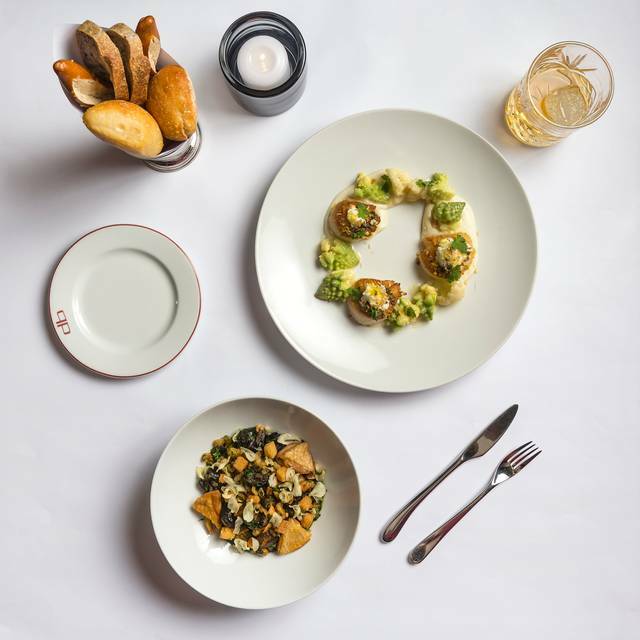 The menu features updated bistro classics with a modern twist and market-driven French-American cuisine, alongside traditional French specialties and seasonal dishes showcasing the Greenmarket’s finest produce. 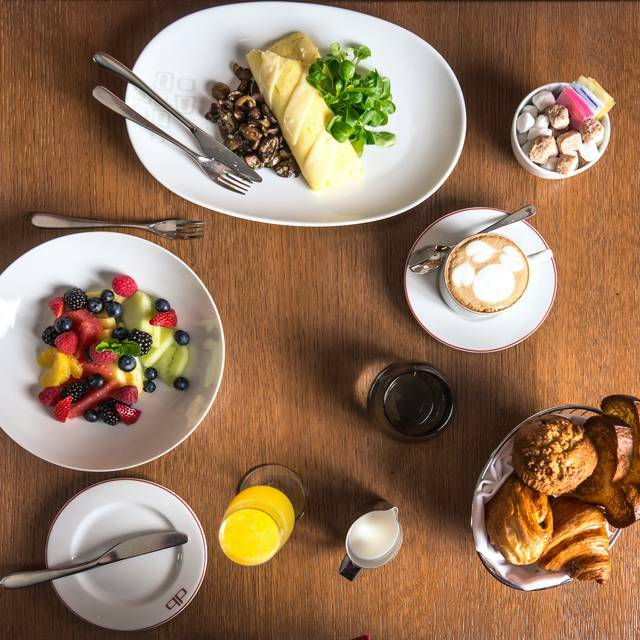 Located one block east of Times Square in New York City, db bistro is the perfect spot for pre- and post-theater dining, a Midtown business lunch or breakfast “à L’Express”. It was here that Daniel Boulud launched the gourmet hamburger craze in 2001 that took the world by storm. The DB Burger, stuffed with red wine-braised short ribs and foie gras, continues to be a main attraction. 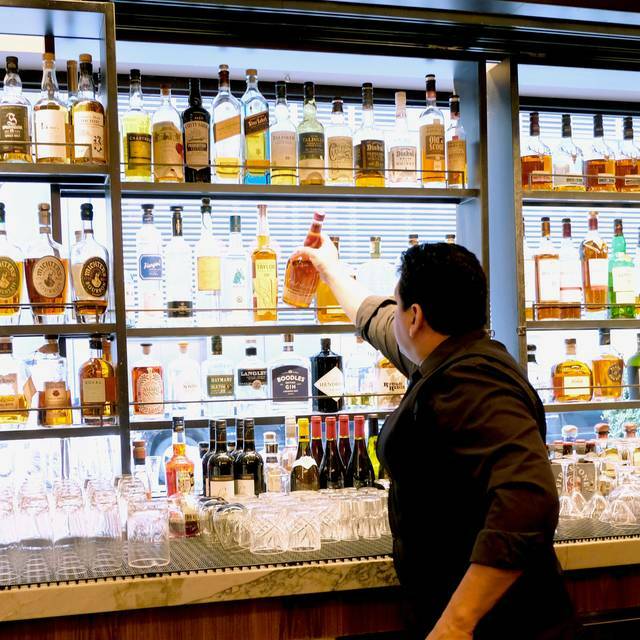 Our handsome bar area features a seasonal menu of dishes that can be enjoyed with exceptional wines and cocktails. 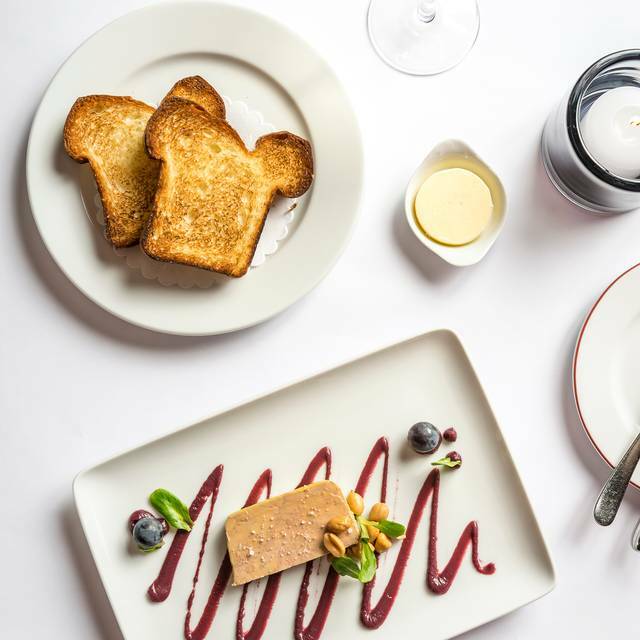 Treat the special ladies in your life to an exquisite, $65 three-course Mother's Day brunch at db bistro moderne. Hop on in for a sumptuous, $60 three-course Easter prix fixe menu featuring your favorite spring ingredients. 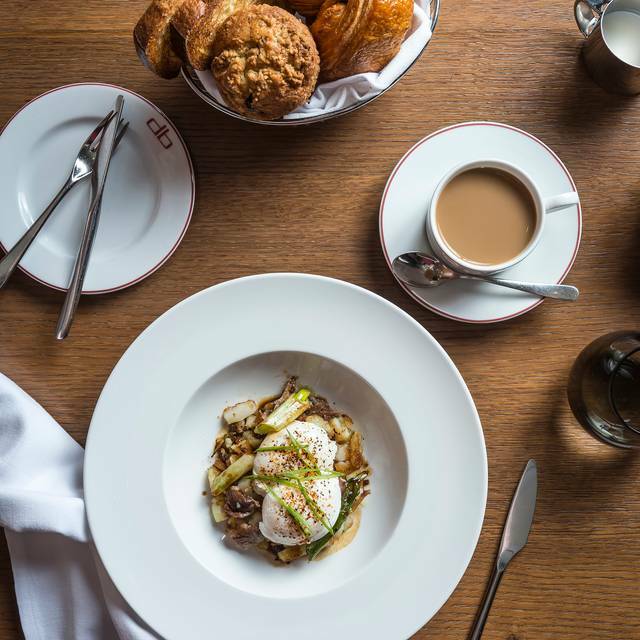 Join us for either brunch or dinner; reservations available from 11am-8pm. Warm welcome, friendly and attentive waiters, quality dishes. I only had the salmon club for brunch but it was very good. The service was much better than when I have been there before. Will definitely go back. Beautiful room, great service, wonderful food. Needs a dress code. People should honor the experience. I don’t want to have to look at a guy in a dirty t-shirt wit no table manners. Made the reservation through open table and indicated that I was celebrating my birthday. I ordered a dessert and expected something special ie a candle or Happy bday on my plate. Was sitting next to someone who also was having a birthday and observed that she received a complimentary dessert with candle and choc happy bday on plate. I was told by the neighboring table that he called in person to request this birthday dessert special. When I spoke to my waiter that I too was celebrating my birthday he apologized and then came out with the complementary birthday for me. Since I already had a dessert I was no longer hungry for a second dessert and would have preferred that the waiter comped me for my ordered dessert for which I paid $9. He certainly should have asked me if I wanted a second dessert because this was a waste of food and I no longer wanted another item. Otherwise I did enjoy my lunch and if I return to this restaurant to celebrate a special occasion I will call in person. dining room. For anyone who wants to have a quiet, conversation, I'd suggest that area of the restaurant -- it's the quietest. The food was outstanding and the noise level fine. So I will go again. Everything was good, but our main course, the db Burger. Very mediocre. Outstanding service and food. Highly recommend. Pricey but we had Travelzoo voucher; $99 for $200 worth of food and drink. Besides dessert being included they brought out a plate Madeleines for my birthday. Also had the Louis XIX cocktail a riff on old fashion. Wow! We ate here before a musical and it was a French delight! Great food, excellent service, friendly staff. We will definitely come on our next trip to NYC. Wonderful as always. We go every year when we visit NYC. We love Jose! We went for the burgers for his birthday. The place was really nice (nicer than I expected) and the service was amazing. Burgers were good, too! We had a wonderful evening thanks to an attentive and kind staff. Had asked for a good table in the rear section of the restaurant since it was a special occasion. They gave us the corner banquette and could not have been more accommodating. The food and service were excellent. Will return in the future. Great Food. Great Drinks. Capacious wine options. Well worth it! Not inexpensive, but the quality of the food and the number of choices available make the ORIX fixe dinner a great value. Pretty clearly the best restaurant near the theater district. Always excellent food and service! Great restaurant for pre- theater dining! Though very nice, our waiter was rushed and was very hard to understand. Not sure is they were under staffed or if it was his demeanor. I can only compare it to the next evening where our waiter conversed, answered questions about the menu, and seemed fully able to spend time with each of his tables. Professional service, good location for theater dinner. Lacks attention to detail - overlooked pasta, chicken was lukewarm. Excellent service. Amazing food and service! Lobster salad was outstanding as were our other choices. We both did the prix fixe dinner. I ordered the escargot, duck and chocolate fondant. I enjoyed every course of my meal. My husband ordered the pate, scallops and the pineapple dessert. He enjoyed his main course and dessert but found the pate to be somewhat bland. Overall we thoroughly enjoyed the restaurant and the food. We had a 8:00 p.m. show to attend and got to the restaurant at 5:15 and were not rushed. I would recommend this restaurant and would go back again. Our waiters were on top of everything in the middle of a large pre-theater full house. Service and Ambiance great.....Food Great.....and Chablis over the Top. Great restaurant. I’ll be back. Our son gave us an internet voucher for a $99 3-course dinner for 2. I thought that we would have to order from a limited menu and that we might get an attitude about using the voucher in this well-known and relatively expensive restaurant. I was absolutely wrong on both counts. They couldn't have been more gracious and we ordered from the regular menu. The food and service were exceptional. We'll definitely be going back - with or without a voucher. I am a big fan of all of the Daniel Boulud restaurants I have been to. I get to the ones in New York City once a year and always really enjoy the delicious food as well as the impeccable service and ambiance. This visit was no exception. It's a pleasure to host you year after year, CJ. 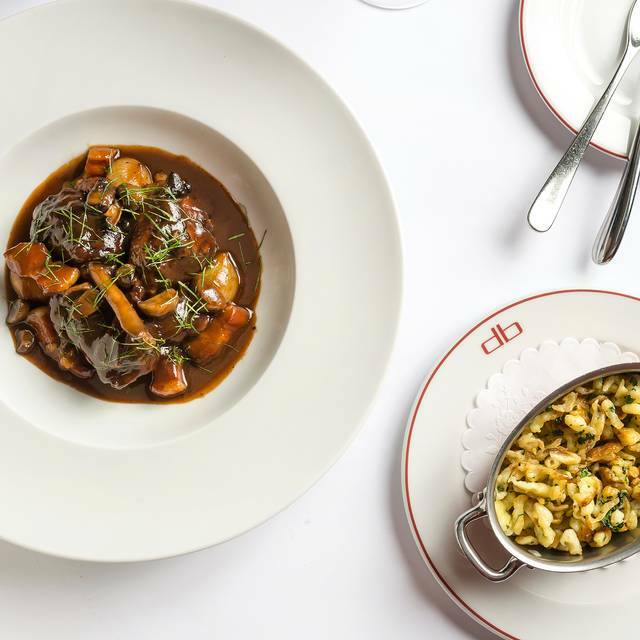 So happy you continually enjoy your experience at db Bistro Moderne. Kind regards, Allysun Redmond, General Manager. This was the fourth time that my wife and I dined at db Bistro. As before the food and service were excellent. I had the baby gem salad with cold crisp lettuce and a very nice mild dressing; my wife had the tarte flambee, thin with a generous amount of bacon bits. For entrees, my wife had the roasted chicken, another generous portion that was nicely presented and moist with black rice pilaf and sunchokes. I ordered the dover sole -- it was perfectly prepared, crisp and tender at the same time with side servings of the meuniere sauce and very delicate spinach. It was a little pricey but I will order it every time I return to db. And who doesn't enjoy an amuse bouche? My only complaint was that we were seated beside the service entrance to the kitchen so it got a little noisy at times. The service was professional and very friendly despite the pre-theater busyness. Thank you for the wonderful words about the service you experienced and the dishes you enjoyed. It is such a delight to hear about our return guests. We hope to see you again very soon. All the best, Allysun Redmond, General Manager. Wonderful Saturday brunch. Initially dissappointed that Saturday lunch was brunch rather than the lunch menu, but the food was very good, with excellent timing. The service was fantastic adding to the enjoyment of the meal. Tarte Flambe, Poullet Paillard, Croque Monsieur, and DB Burger happily eaten with plates left empty (great), but unfortunately leaving little room for dessert! The staff went above and beyond. Really impressed with the service. Lots of little indulgences that made the experience better than ever. 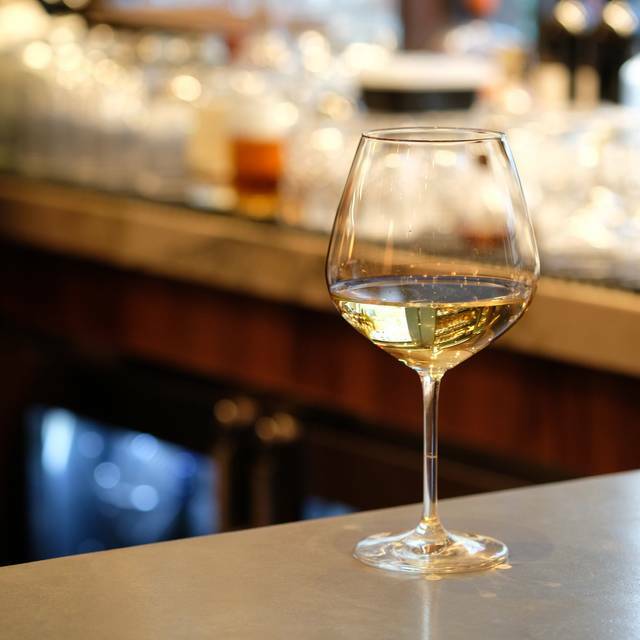 The quality of the food and services are great, especially the knowledge of the Sommelier! Our waiter was MIA for the first 15 minutes finishing up theatre goers, but he shoudl have said so. I presonally prefer French waiters at a French restaurant, but that was not the case. With another woman I felt ignored most of the evening. The sommelier was quite helpful. Desserts and appetizers were not special, but the Duck Breast and Scallops were superb. 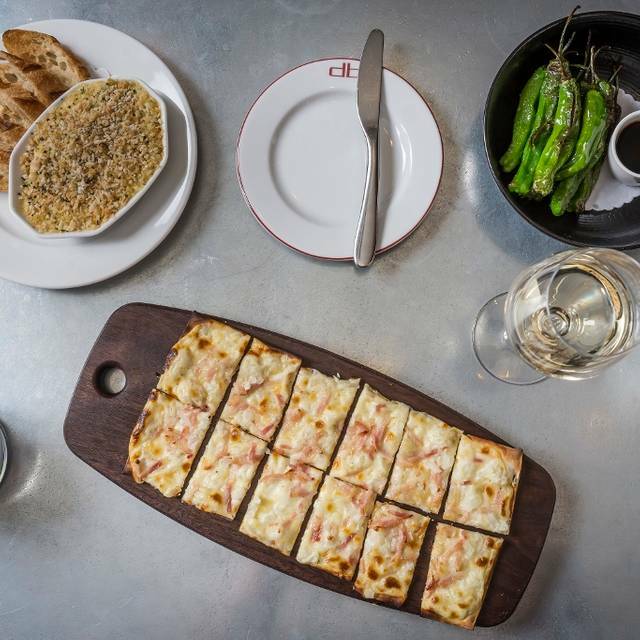 Our new go-to for pre-theater dining. Exceptional service! Thank you for an amazing evening. I never thought I’d pay $35 for a hamburger but I did. Everything on the menu was expensive (NYC) so why not? The burger was stuffed with foie gras, truffles and short rib meat! And it was huge and delicious.... my husband had the duck and it was perfectly cook and delicious as well. Bring your credit card and enjoy. The only thing lacking here was the atmosphere. Not much to it and kind of boring. Overall a very nice meal. As always, db Bistro moderne did not disappoint! The food was amazing, the service was excellent and the ambiance was perfect. There is a reason Daniel Boulud is so successful. Every single item that came out of the kitchen was perfection. Thank you for the wonderful words. We look forward to hosting you many times more! Best, Allysun Redmond, General Manager. I would recommend DB Bistro because of its location close to theaters, but I don’t think it’s nearly as good as it used to be. My selections were just okay. I think I should have ordered from the menu and not tried the prize fixe. Not bad, but very ordinary and tasted mass-produced. Endroit très plaisant où j'ai passé un délicieux moment (dant tous les sens du termes). Five of us dined at db Bistro on the occasion of the birthday of one of our party’s members and also as a pre-theater occasion. The evening went splendidly! Our server was attentive to our time constraints and also very pleasant and efficient, the food was sumptuously wonderful, including the lobster salad, duck, loup de mer fish and a delicious pasta dish. The salads and desserts and great wine list, not to mention a birthday treat of petite madeleines, made our evening a very special one indeed. Perfect service by the staff! We cannot wait to return.